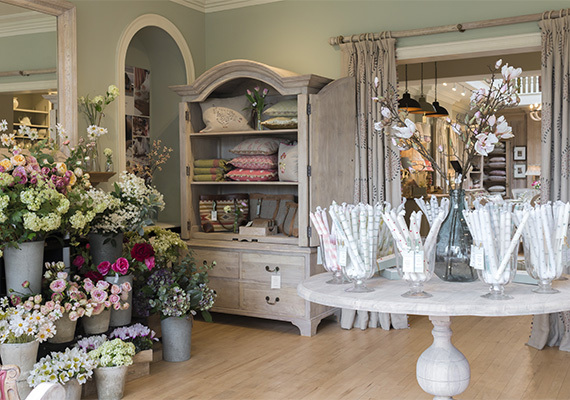 Situated in Harrogate's fashionable Montpellier Quarter, our showroom is home to a wide range of our collections. 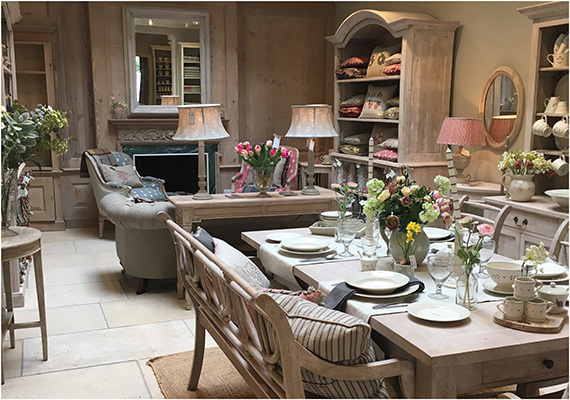 You will find a selection of our key pieces including our hand-carved furniture, hand-printed fabrics, handmade cushions and hand-painted ceramics. Our resident Interior Designer, Rachael is here to offer advice and inspiration to create the perfect look. 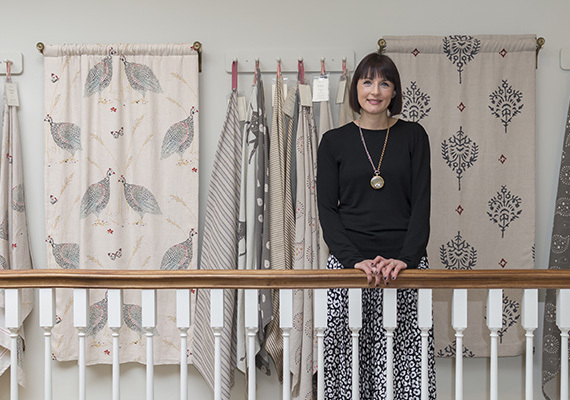 From cushion combinations to a bespoke full interior design service, Rachael is on-hand to help you design and decorate your space. To contact Rachael, please call 01423 520 966 or email harrogate.fabrics@susiewatsondesigns.co.uk. This Victorian spa town in the heart of Yorkshire is the perfect setting for our interiors range. 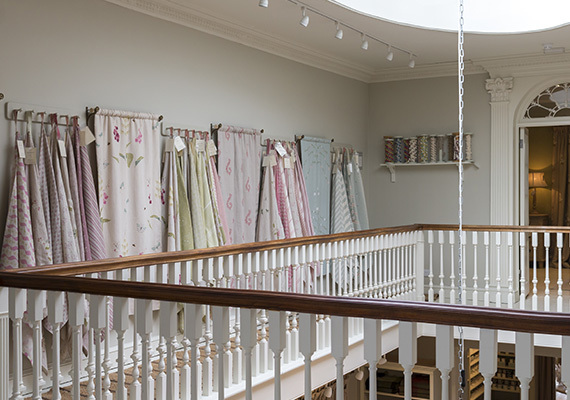 Our Harrogate showroom, just a short walk away from the famous Betty's Tea Rooms, features a large gallery with a stunning skylight over the dining area, two staircases (one hidden behind a secret door) and the largest bedroom setting of all our stores. Parking: is available opposite the store at the Royal Baths Car Park. Train Station: The nearest train station is Harrogate, just a 10 minute walk from the store. Dogs: Well behaved dogs are more than welcome in our Harrogate showroom. "My friend and I visited this store for the first, but not last, time on 1 December, following the Country Living Fair. The shop was busy and had a wonderful vibe. Cheerful, and helpful staff were offering mince pies to customers. I ordered an item which was out of stock, and was advised there would be no delivery charge! 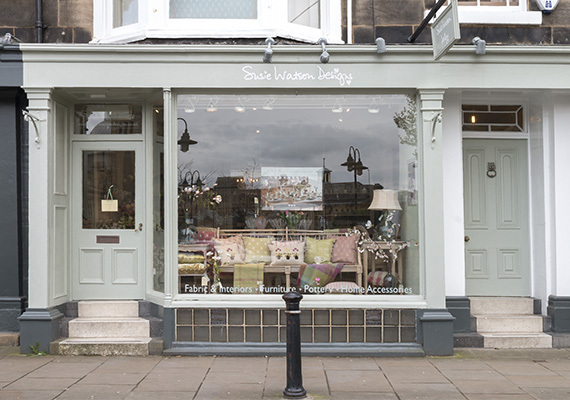 This shop is a gem in Harrogate's crown, selling products from pretty aprons to large dressers. If you haven't visited here, then do make sure you do so, during your next visit to Harrogate. The staff really are an asset to this shop. We look forward to a return visit." "I love the Harrogate store. The staff are so friendly and helpful and the building so beautiful." "Since opening Harrogate I have visited the store fives times and wanted to take the opportunity to provide some feedback, the staff in the store are so polite and helpful, there are not many stores you can visit and get to know the staffs names. The team in Harrogate always go out of their way and care as much as they do when packaging your goods, having travelled on the train today it really does make a difference. I will be back again in a couple of weeks and will continue to visit the store, which is a credit to your team up North."